When Thailand’s Krungsri assessed the increasingly competitive banking industry over the next five years, it anticipates facial recognition (FR) technology as becoming a banking standard in the country. The bank currently uses FR technology to strengthen its know-your-customer (KYC) process: customers are identified and verified through their unique facial features, part of a growing field of biometrics authentication that includes fingerprint. The bank plans to scale up its deployment of FR technology-powered applications, such as authentication at the transaction level, both for financial and non-financial activities. 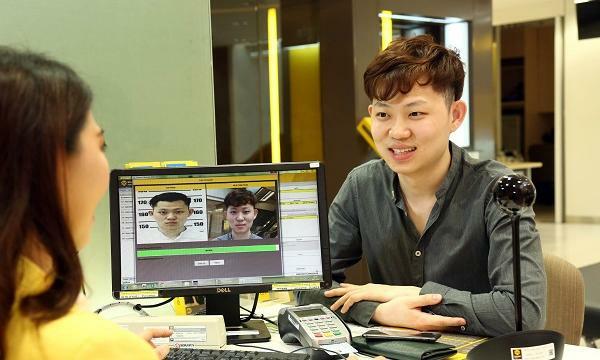 The bank plans to start using the technology to identify and verify customers who open a deposit account at its branches by matching the cardholder’s face to the photo on the citizen ID card they present during the branch visit. The technology will be progressively rolled out to enable customers to open passbooks via a mobile app by the second quarter of 2019, which provides the convenience of completing the application without having to step into a branch. Krungsri’s plans come amidst a newly introduced Bank of Thailand regulation facilitating e-KYC, or know-your-customer through electronic means. Thailand’s central bank has set up a “sandbox” which encourages banks to experiment in emerging technologies, including FR technology. Regulators in the region have been implementing fintech sandbox regimes that allow companies to test their products, services or solutions in the market under a more relaxed regulatory environment. Along with Thailand, Hong Kong, Malaysia and Singapore have launched fintech regulatory sandboxes in recent years. OCBC Bank is one of the first banks in Singapore to adopt such an FR system as part of its dedicated digital masterplan to improve customer service. The FR system, which has been implemented since December 2017, is capable of recording the purpose of the customer’s visit, gathering feedback, and understanding customer behaviour patterns such as how frequently they visit the branch. “Since introducing it, we received positive feedback from customers who were impressed by the personalised hospitality enabled by fast and accurate identification,” Pranav Seth, SVP, head of e-business, business transformation and fintech & innovation group at OCBC Bank said in a media release. Meanwhile, in Taiwan, NEC provided an FR system to E. SUN Commercial Bank Ltd. Designed to improve the security and safety of the bank’s automated teller machines (ATMs). The company said that the partnership resulted in the world’s first FR automation ATMs with one-time password technology, and are available at five locations across the country as of late February. During their first visit to the FR-equipped ATMs, users insert their cash cards and a photo of their face will be captured by a camera installed within the ATM. An additional safety measure was put in place to complement the FR technology: Before their images are registered, users must enter a one-time password sent to their mobile phones within 60 seconds. After this registration process, users can only withdraw cash by FR and PIN authentication. Addressing security concerns, the company assured that anti-spoofing technology prevents fraudulent activities in the ATMs, with the AI capable of detecting between a real person or an inanimate photo, image or mask. The increasing use of FR technology amongst Asian banks is part of a broader shift in the industry towards a “smart branch” model and the improving market viability of its applications, according to analysts. “When done right, applying the concept transforms the way a bank branch operates (reduced staffing), significantly lowers real-estate requirements, and alters customer interaction - with a resulting 60-70% improvement in branch effectiveness, as measured by cost savings and increased sales,” consulting firm McKinsey & Co. said in a July report. Whilst banks have begun adopting elements of the smart branch model, McKinsey notes that most still have a long way to go before they can extract its full value potential. Part of a more effective approach to the smart branch model is making sure customers can access full service at any time of the day, which is where FR could assist as part of an array of technologies for authenticating transactions in interactive teller machines. Accenture estimated that the number of deployed biometrics solutions has grown due to falling implementation costs and widening customer adoption, with its market value estimated to have reached $17b in 2017 from $5b in 2010. Aside from the oft-cited efficiency improvements linked to faster client onboarding and smoother authentication in subsequent branch interactions, wider adoption amongst banks will help promote financial inclusion in emerging economies where people often lack the necessary identity documentation or access to bank branches. “Identity used to be all about security. Now it has evolved to the point where, properly implemented, it can bring a broad set of business benefits to banks. These benefits are particularly timely in an environment where the identity requirements – such as KYC and identity verification – being imposed on the industry are increasingly onerous from a bank and customer perspective,” added Accenture.